It is not as easy as you may think to find any accurate UPVC Windows prices online, and that can be put down to probably just 2 reasons. The first is that installers don’t want to go into print and give their competition a benchmark to be able to undercut the prices on offer. The second is more about the practical aspect in that, whilst the typical door is 2ft 6 inches x 6 ft 6 inches, very few houses have an “typical” sized window and the amount of work needed to remove the old and fit the replacement can be substantial – especially if the wall surrounding the opening are “out of square” or end up needing a lot of “making good”. One such case will be where old sash windows are being replaced. If you are swapping to casement windows then the profile of the frames will be a lot slimmer and that means the inside reveals will probably need filling in and plastering to make good around the frames to fill in the gap – more labour & materials means more cost! It’s not all bad news, as the double glazing industry is very competitive and installers are keen to get your order and if you are prepared to take the time to collect 4 or 5 quotes to directly compare upvc windows prices, then you can very often negotiate a good deal. As a rough guide, here are a few examples of the cost of upvc windows prices. How much do upvc casement windows fully fitted cost? How much do upvc casement windows cost for supply only? Whilst the prices above are just for guidance, they are taken from a selection of suppliers across the web and may or may not include VAT, delivery & installation. Our advice is to get an independent written quotation for the cost of installation at your property. How much does a Tilt & Turn Window Cost? How much does a Bow or Bay Window Cost? How much to fit UPVC Windows in a terraced house? For installing 6 windows in a terrace house, you could expect to pay about £300 per window (£1,800) plus a front and back door. 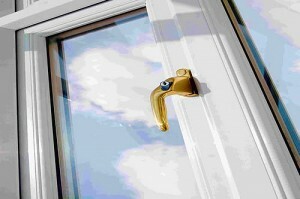 UPVC doors can cost around £400 to £500 fitted. So the total cost could come up to £2,800 depending on your supplier. How much does it cost to fit UPVC windows in a 3 bed semi? If you are looking at 10 windows, then as before, the cost per window could be around £300 per unit. Plus front & back doors (If you are thinking of using a composite front door then the price for that would be from around £800). Why does it cost extra to replace sash windows with casement windows? The extra cost is usually to do with the amount of work needed to finish off around the window frames. Casement window frames are not as thick & wide as Sash frames. This means the inside of the window usually has to be re-plastered. As a rule of thumb, you could expect the extra cost to be around 10% of the cost per window. Which are the best double glazed windows? If you are talking about performance, then A++ rated double glazed windows are the most energy efficient. That depends on your priorities. You will save more energy than with double glazing & definitely the sound insulation will be better. Why should I use a FENSA or CERTASS installer? There are a few reasons to go for FENSA or CERTASS installers. Firstly, they are accredited by independent bodies as competent to do the job. Secondly, you are likely to get better consumer protection. Thirdly, windows need to be certified as meeting building regulations and a FENSA or CERTASS installer can certify them for you. Your installer should offer guarantees on the work itself. The product should have an independent warranty. Make sure you are clear what the installer is offering you. How long will it take to fit UPVC windows in my house? An average house can be fitted with double glazed windows in around 3 to 5 days. That is dependent on not hitting any snags, such as the wrong size windows turn up! Save the time & stress of searching – we bring them to you.